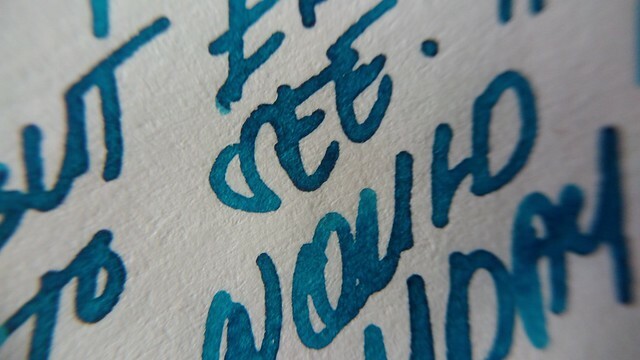 There’s a slight red sheen on it, not too pronounced, but if you use a wet nib you can see the halo around some parts of the letters. 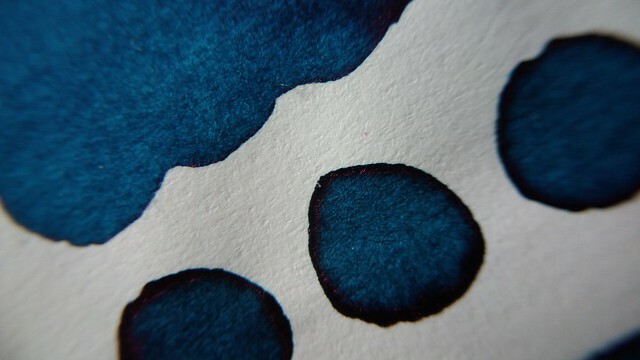 I love ink with subtle sheen like this. It makes your strokes on paper look more like painted-on letters. 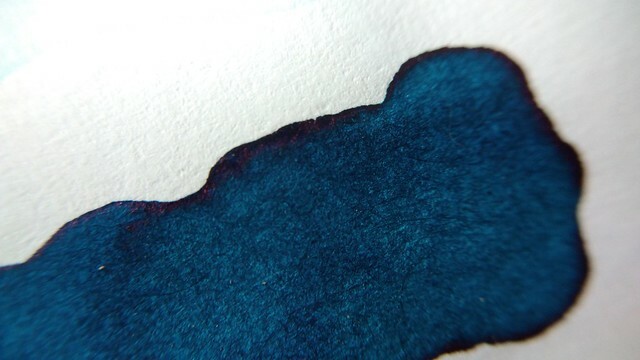 The contrast between light blue, dark blue, and red sheen on this ink is just beautiful. I would put the flow at a medium to wet. 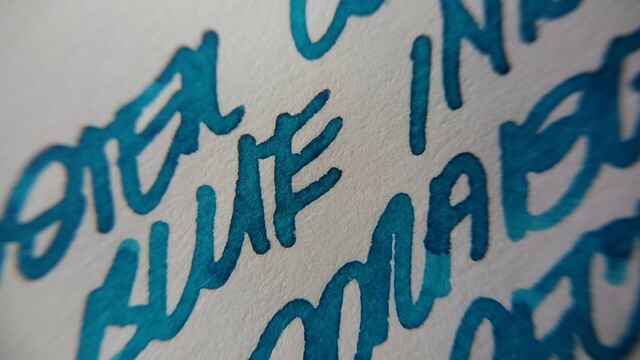 It’s not extremely wet, but it does take a little over 20 seconds to dry on Tomoe River paper, using a medium nib. There’s very little water resistance here, a few seconds after letting the water droplets sit on paper, it all but washed away most of the ink. Leaving a very pale blue outline. 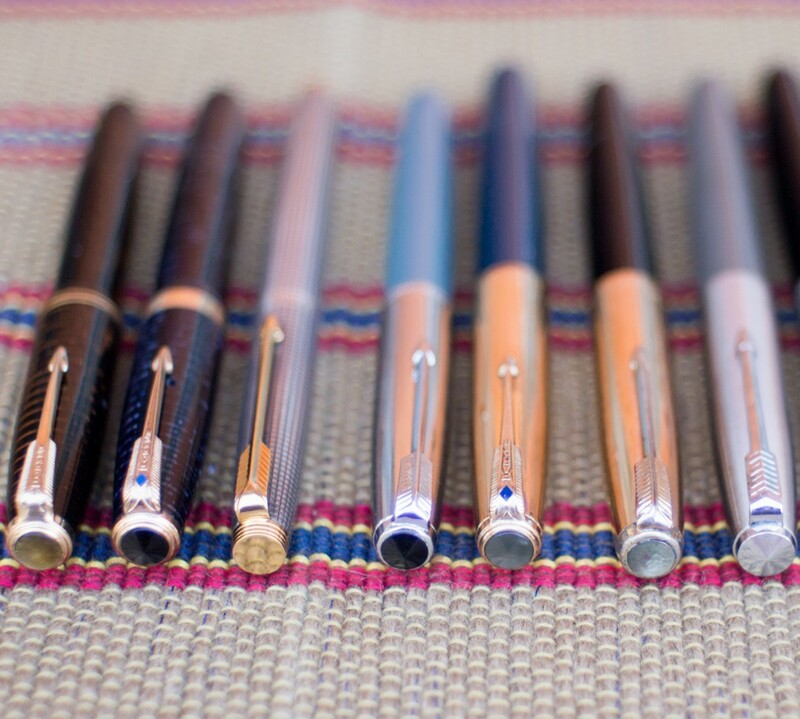 It makes for nice pen and wash drawings, though. 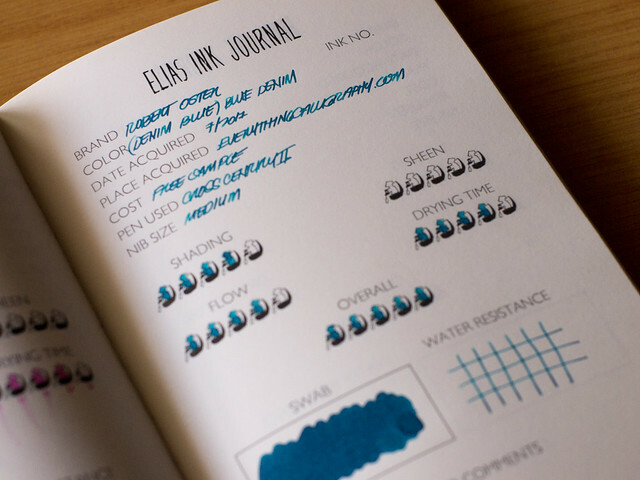 I love that even after sitting a few days, the ink doesn’t look dull after it dries. It remains vibrant on paper, close to how vibrant it was after writing. 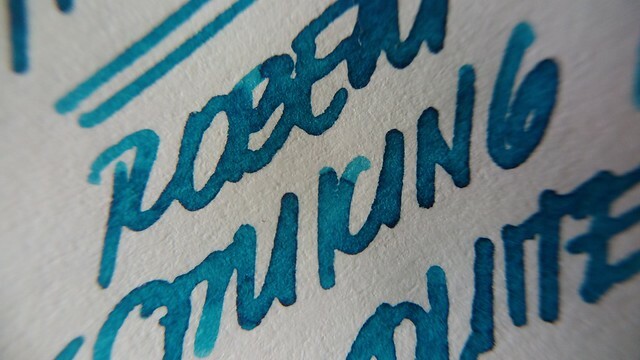 I used to dislike blue inks, but after trying a few that are interesting to look at, I’ve become a fan of the color. 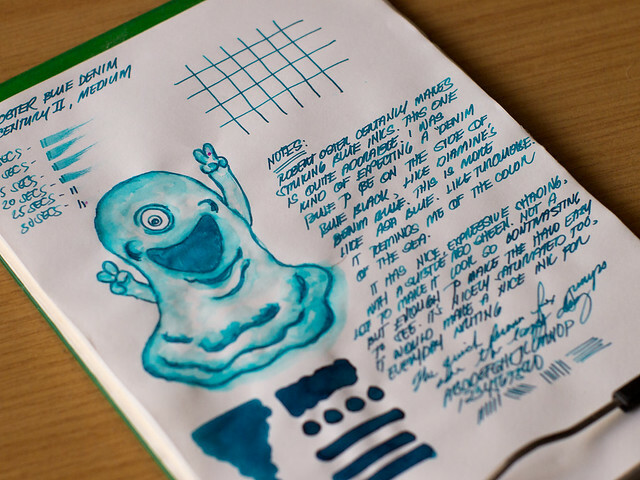 Robert Oster’s blue inks is a great place to start if you’re looking for interesting, great-flowing blues. 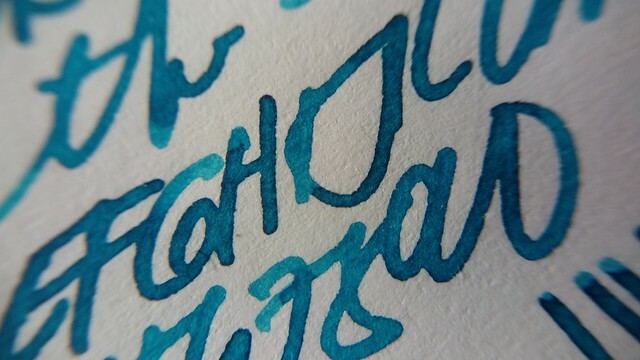 Robert Oster inks are available at Everything Calligraphy.